Have An Orlando Appraisal Question ? Call Now ! Orlando can be traced back to 1837 when Orlando Reeves died as a soldier against the Seminole Indians. It is not sure if this is true however as it is also believed he was a sugar grower from Volusia County. It is believed early settlers found his name carved on a tree at his grave site. 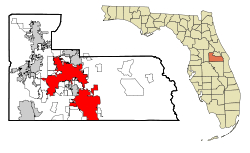 This is how Orlando got its name.